In the past couple of weeks, if you logged into your social media accounts, checked your emails or visited any website, you most likely saw a pop-up window or received a message saying something about GDPR. Well, what exactly is it? GDPR stands for General Data Protection Regulation and this new regulation it is to be adopted by businesses all over the world starting May 25, 2018. It will alter the way companies and public sector organizations are allowed to collect and handle customer information. In other words, customer data is being better protected than it has ever been before. This new regulation was approved and implemented by the European Union (EU) Parliament in April of 2016 and this week it will finally be in full effect. 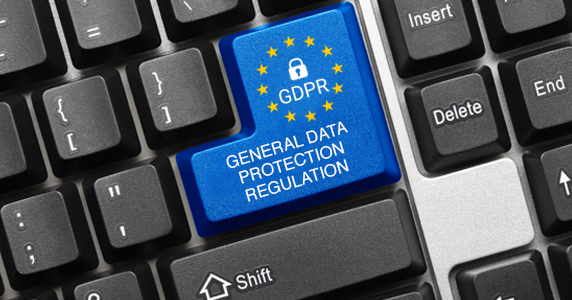 GDPR was established in an effort to protect the personal data, and overall privacy, of citizens of the European Union and any transaction that occurs in active EU member states. Does this mean only businesses located within the member states of the EU need to worry about this? That would be a no. GDPR is to be complied with by every single company that does business in Europe. This means if you’re located in the U.S. but have an online store where customers from Europe have access to purchase from you, you’re included in this as well. Customers must opt-in to receive communications from your business. Automatically checking boxes in an opt-in box on a form is considered implied consent and is no longer allowed. The customers must decide for themselves whether or not they wish to receive anything from you. Everyone who has not opted-in will have to be deleted before the May 25th deadline and continually thereafter. This includes leads and prospects that have not personally consented to receive communications. Give customers the option to opt-out of marketing communications by presenting them with simple and clear instructions to do so (i.e. an “unsubscribe” button). And for those who wish to be permanently deleted and never to be contacted again, make sure you actually do. If you have WordPress 4.9.6, then you won’t have to worry about a thing because it is already GDPR compliant. If you have any earlier versions then you will need to make some adjustments so that everything is aligned with the new regulation. Here is an online source that can help you. There are many reasons for this new regulation, the most relevant one being to better protect customers’ private information from being manipulated like it has in the past. Complete transparency is in high demand these days. From there, valued customer relationships can be built on a solid foundation of trust.